3P Learning is an educational company that offers online learning programs that cover a range of subjects, including math, spelling, reading, and science. You may have heard of them before, they are Mathletics, Spellodrome, Reading Eggs, and IntoScience. Mathletics is among their award winning educational programs for children grades K-12. We received a full year subscription for two children to review. 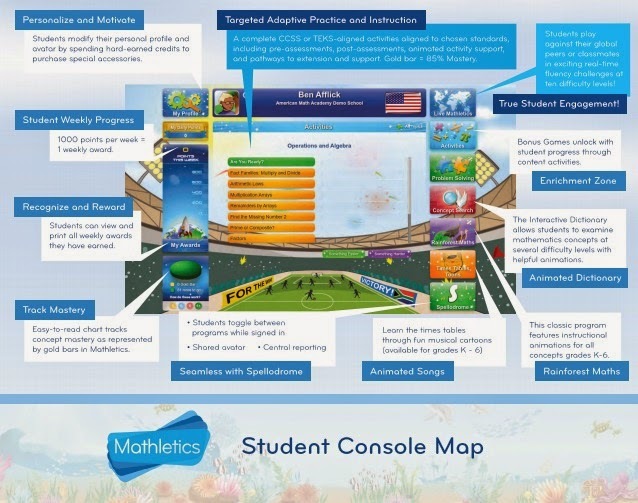 Mathletics is intended as a supplement and not as a full math curriculum. 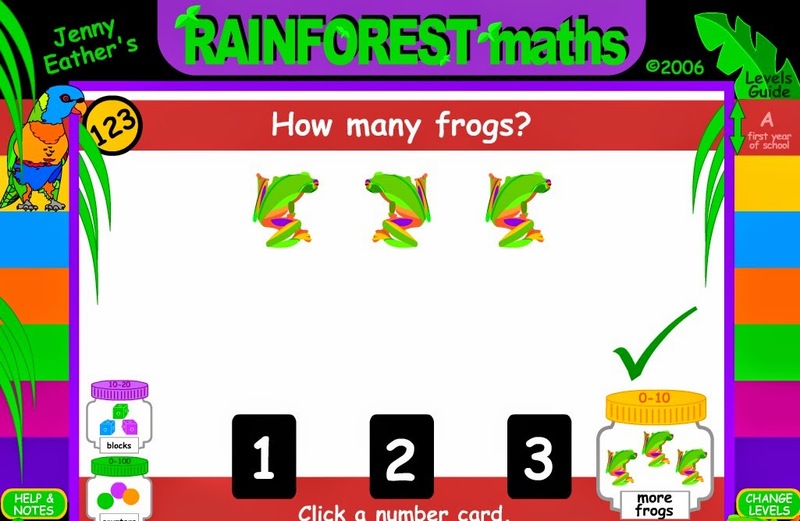 Mathletics is used by more than 3.5 million children worldwide and has been proven to improve grades and understanding of mathematical concepts! The price of Mathletics is $59 per student for the Home Subscription and they also offer Family Discount Prices! If I were to purchase Mathletics for the Family Discount Price, I would pay $179.00 for my two children. This is the cost for a 12 month subscription with online access available 24/7. Once you log in, you are able to customize your children's accounts. If your children are older, they might enjoy creating their own avatars. Each student will have their own unique avatar that they can change at any time. Your child may even be featured in the Mathletics Hall of Fame! They feature the Top 100 World Students and Top 50 World Classes, Top 100 USA Student and Top 50 USA Classes, along with a Mathlete of the Week! Mathletics curriculum courses align to state standards and Common Core, and provides over 1,000 activities for students aged 5-18. Children will be able to learn at their own pace and the program is designed to work with your child's strengths and weaknesses. 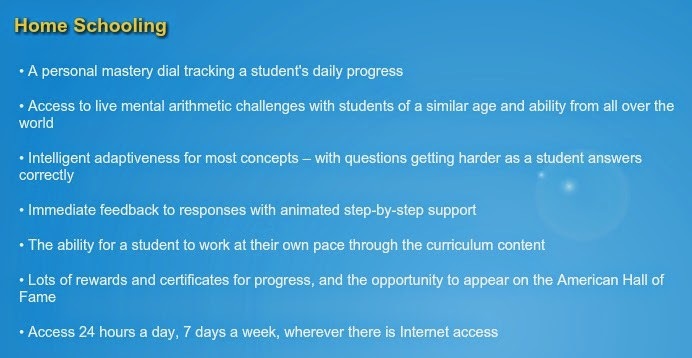 Mathletics will be able to provide step-by-step instructions, as if being taught by a tutor. And parents will be emailed a weekly report of their students progress. School students and homeschoolers will be pleased by the results of improved understanding of math concepts. You should use this program consistently to see progress and improvement. 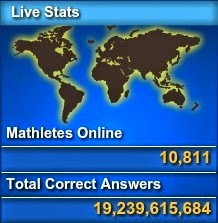 Mathletics can be used on the web, iPad's, Android tablets and on mobile devices. We typically use this program on our laptop and set it on the table in front of us. I usually press the buttons for the kids, but they point out the answers or verbally answer. In front of the kids they have a tray of math manipulatives. This way they can see the math on the screen, but work out the problem in front of them. We use small counters or poker chips, because they are easier to stack and can be grouped by color and place value, and a large homemade graph poster with 1" squares. 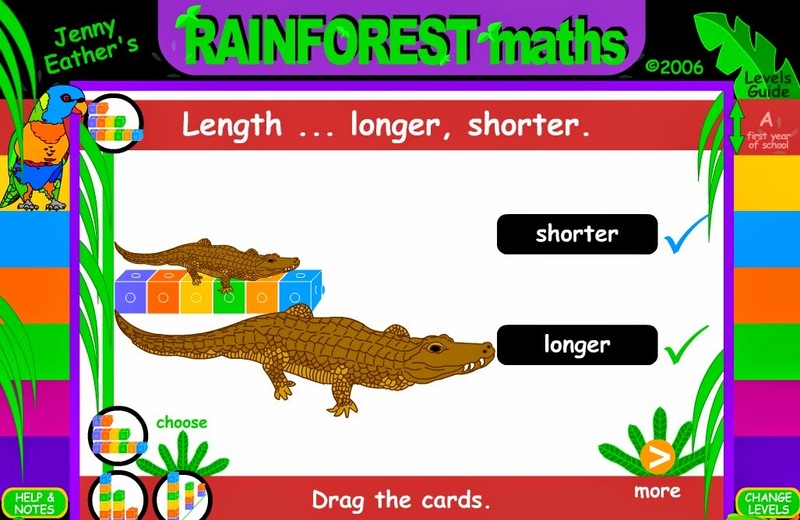 There are many different features of Mathletics that children will like. For example, children can compete with others in games that test their speed and skill. The more activities and games they complete, the more activities will open up. It's all based on their current level and what they are ready for. We worked on Kindergarten and 1st grade math. My daughter can count to 30 and she is beginning to work on addition and subtraction. My children prefer geometric activities, so we try to stick to that theme when we can. My son is still learning to count (he can count to 5 perfectly and occasionally to 10 by himself) and is working on early math concepts. I had to help them with most of the questions, because I felt like many of the problems were above their knowledge level. I am usually beside them whenever we work on online programs, so it wasn't too different from what we are used to. We decided to take a step back and start from the beginning and work through the Kindergarten level together. 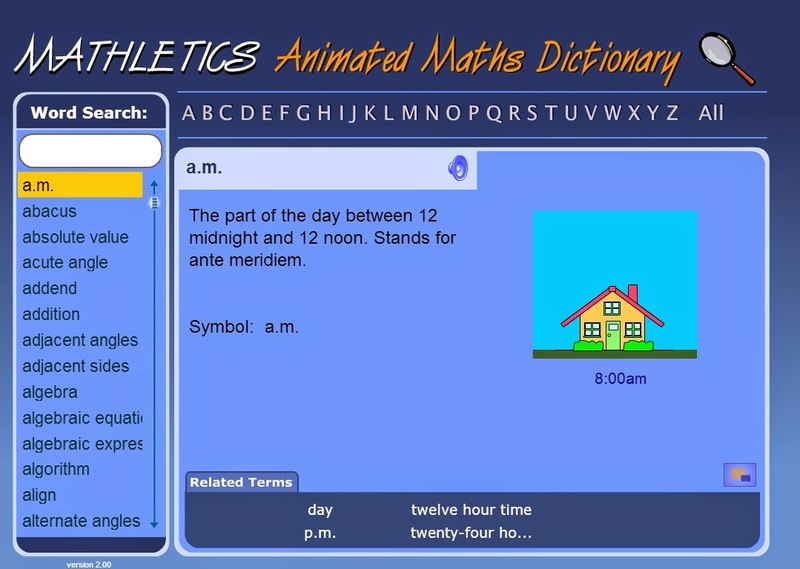 One feature of Mathletics that both of my children especially enjoy is the Maths Dictionary! They love randomly searching through the words and finding new things to learn! Sometimes they will choose a letter and find a word they can pronounce or just choose one that looks interesting. This has been a fun way to learn new math terms and has led to many educational discussions! 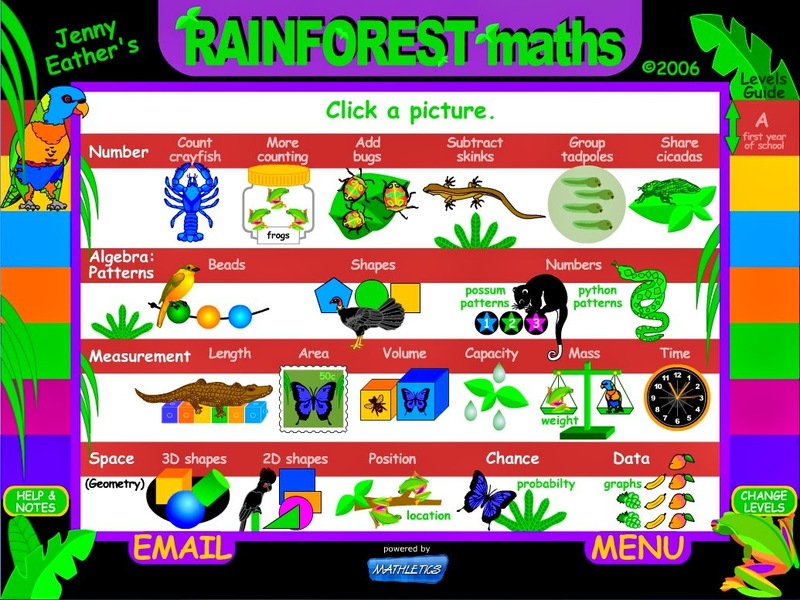 The Mathletics activity that my children enjoy most is Rainforest Maths! There are several different activities and this is the page they ask to go back to again and again. 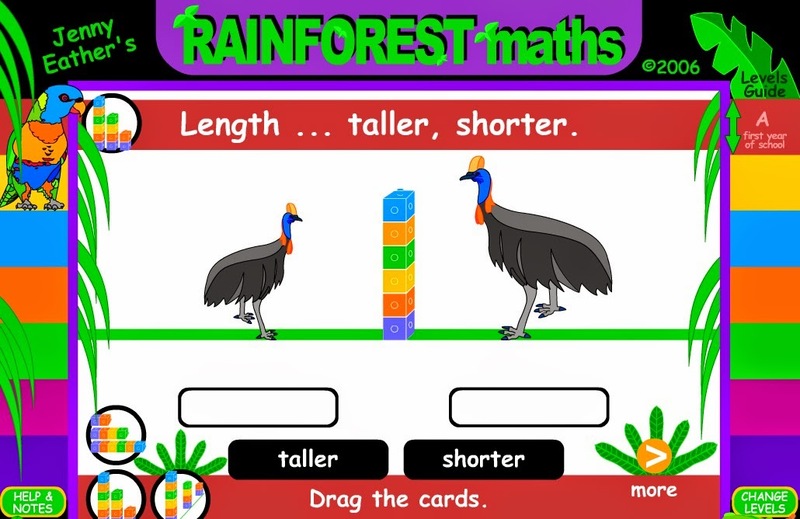 They are able to learn about numbers, algebra patterns, measurement and space. Some problems ask that you drag the answer to the correct spot. Others ask that you click on the correct answer card. While we did not use the Times Tables TOONS too much, my kids still enjoyed listening to the songs. They just do not understand multiplication yet, so it was above them. The Parent Toolkit provides walk-throughs for almost all of the lessons available for Mathletics. This was helpful in teaching different lessons online and offline. I will admit that I am terrible at math and I am simply not comfortable teaching math on my own, which is why I will likely always have an online math program available for my children. They both enjoy math and I want to make sure they can always access it. It is the subject my daughter asks to work on nearly daily. So I pay close attention to the lessons and make sure they fully understand the math concepts they are working on before we move on. Feature that I liked best: The printable worksheets! There are Student Workbooks, as well as Teacher Guides. Sometimes you just can't get online, like if a winter storm causes you to lose power. Sometimes you are spending the day away from the house and don't feel like lugging along a laptop. Some days we do all our activities outside in the fresh air. On those days we like to pack along some worksheets, books, and whatever project or materials we are working with. So I love that 3P Learning provides worksheets for every level of their supplemental math curriculum. That means that when we want to spend the day at the park, but I know my kids will want to take a break from playing every half hour, I can simply pull out the worksheets I packed and we can work on them together at the picnic table. It's even more fun when the neighborhood kids sit with us to learn math or try to teach math to my children. I always encourage this kind of learning! What I liked least: Being signed out so often. If we hit back, it automatically signs us out. If we pause our lesson to go have lunch or take a mental break, it signs us out. I am a bit nit-picky about programs like this and it is really frustrating when something like this constantly happens. Because once you log back in, you have to track down where you left off. Which sometimes mean restarting a whole activity. And because my children are too young to remember their password and sign in on their own, it often delays our progress. Despite this minor flaw, we really enjoyed using this program! If you would like to read other reviews on Mathletics from the TOS Crew, click on the banner below!